Our ken (relatives) before us survived solely on the land. They lived off what our swamps would provide. Now kick it up a few years, I just head to the Piggly Wiggly and pick up a chicken. But some traditions run deep here. It's in ones blood to carry on. He keeps tradition alive an well in these parts. 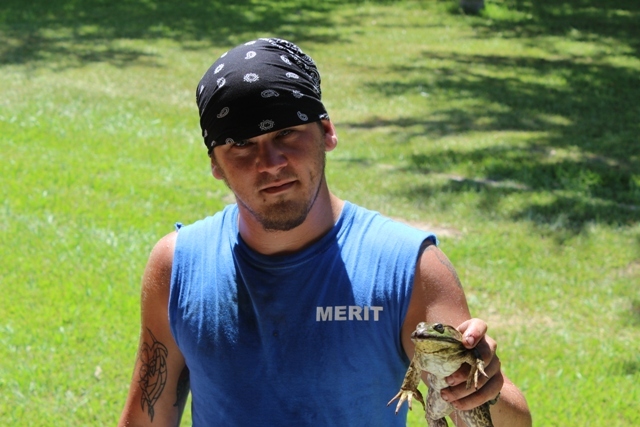 On hot muggy weekend nights, he will head out froggin' and won't return till his bag is full. I will spare y'all the gory details but this is a delicacy here. Like I said... I head to the Piggly Wiggly for chicken. If you say it taste like chicken, then why not eat chicken? Jesse does not share my thinking on this matter and that's just fine. We can agree to disagree and there is always plenty of family standing in line wanting his frog legs. 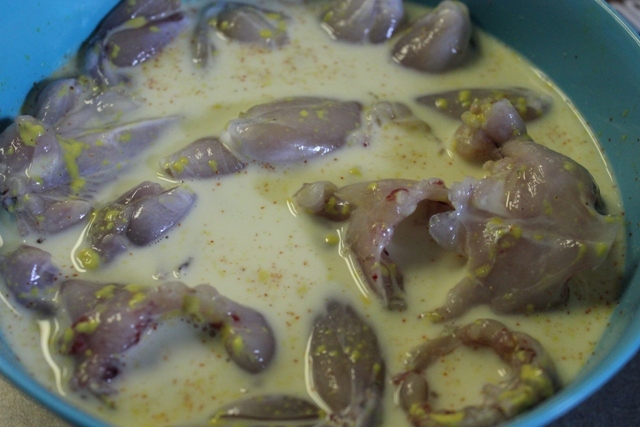 After he skins the lil fellas, he soaks them in a milk batter like you would ummm chicken. He fries them up like umm chicken..
And just for the record, she is making sure a Prince does not pass her up by chance. You just never know these days. 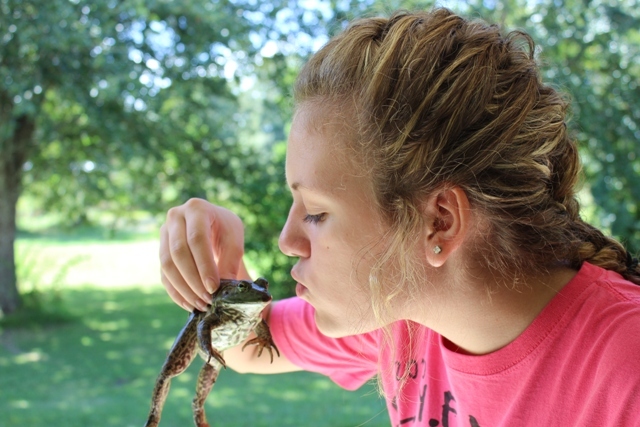 And just to counter act all of that frog business.. 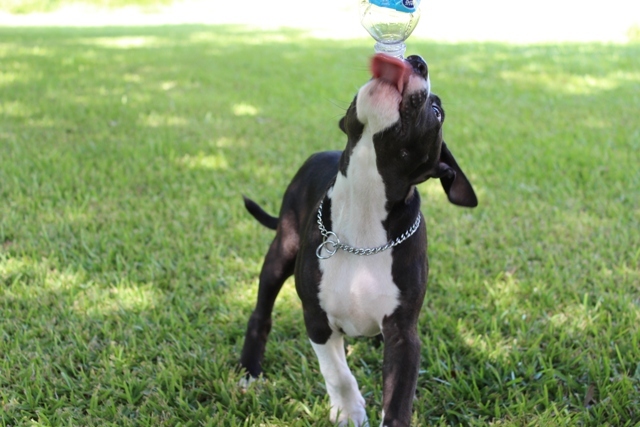 I will leave you with a cute puppy image. This is Jesse's new puppy Lee. Do y'all have a "crazy" food that's popular in your hometown? Or do you just head on down to the Piggly Wiggly like I do? How about rattlesnake (tastes like chicken) and Rocky Mountain oysters. See ya at the Piggly Wiggly. Never really ate anything too far out there, but I have tried frog legs. They are good as long as they are cleaned right. Where I was raised in Illinois craw daddies (in other places they are known as crawfish) were somewhat popular and a delicacy. I have never eaten one but I hear they are good. Seems to me sucking the meat and juices out of somethings head is just wrong. Hahaha. But I am with you I would rather just go get some good ol' chicken for my dinner. They just started serving frog legs at one of our local bars and I went nuts. Normally I have to wait on friends/Dad to bring em home. I will not clean those though.. just eat them! 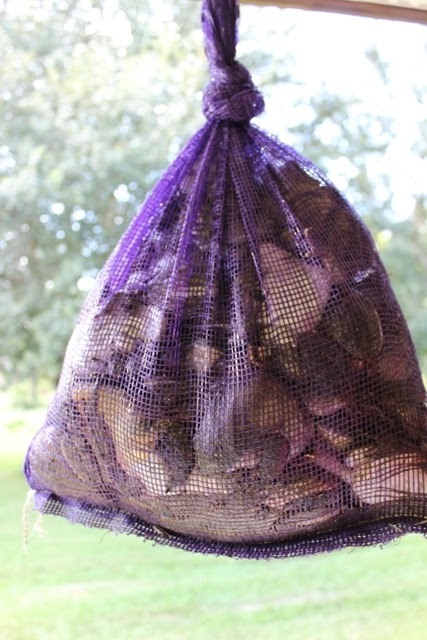 We've got it all here in SW Louisiana too - crawfish, frog legs, crabs, shrimp. I eat them all but I draw the line at turtle. Just can't go there. I really like frog legs when they are done well. 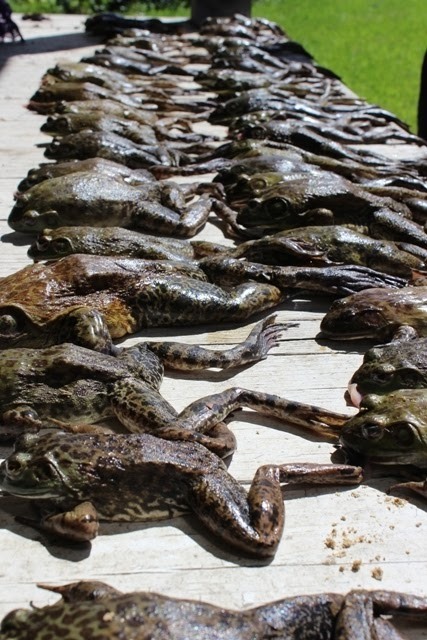 I have a pond full of frogs in my front yard and my husband and BIL have done lots of gigging! Of course, I am in SW LA too! Oh law...this brings back memories of the smell of "Off", sleeping in a truck camper, and the sound of bullfrogs in the night. My daddy and g'daddy liked nothing better than going giggin'. I have a frog gigger hanging in my office as a matter of fact. Never could bring myself to eat the little darlin's, but my sister would tear 'em up! Couldn't get past the vision of those legs jumping from time to time in the fryin' pan. I'm with you...give me a chicken leg! I may be sick... 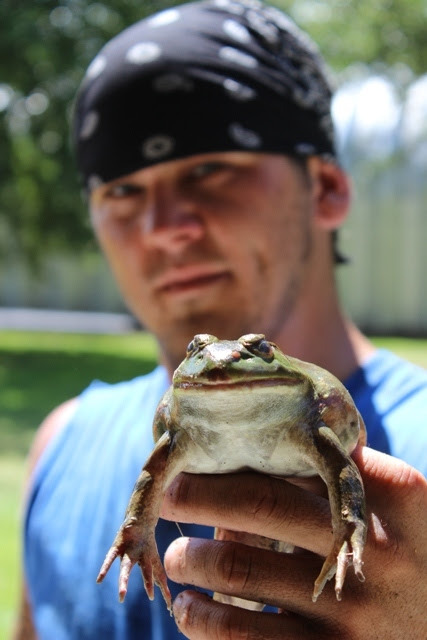 I just could not eat a frog-I really am going to be sick....lol.